The simple answer is NO! Not even close to Christian. To start a new religion by stealing the terminology from an established religion and then redefining the words does not make the new religion the same as the religion they cannibalized. Mormonism’s theology is strange, completely new and foreign to early Christianity. They never tell you what they believe at your door. They wait until you are hooked with “familiar” terminology and only slowly are you indoctrinated with their strange views. They deny the Trinity, the divinity of Christ and the uniqueness of God. In the whole scheme of things it is a very young and novel attempt at redefining Christianity. They are not the first heretics. The first heretics with similar ideas were debunked by the Fathers of the Church. 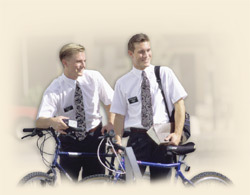 (Taken from www.CatholicCulture.org) — Most of us have had Mormon missionaries at our doors, and people keep asking whether Mormons are Christians. Many Mormons believe that they are, but in my latest blog post, I summarize the arguments which show why Mormonism is not Christian in any meaningful sense of the term. See Is Mormonism Christian? Fr. Richard John Neuhaus, editor of First Things, raised exactly the same question in an outstanding essay eight years ago, which has the same title: Is Mormonism Christian? Fr. Neuhaus reaches the same conclusion, but offers a prolonged reflection on Mormonism and its place in American society. Fr. Brian Harrison, The Appeal of Mormonism, an interesting essay taken from This Rock in 2003. Fr. Leslie Rumble, The Book of Mormon I and The Book of Mormon II, from Homiletic & Pastoral Review back in the late 1950’s. 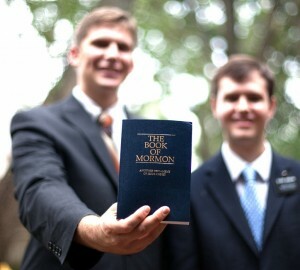 For my previous blog on Mormons, click here. I also have other links available here. My earlier blog on Mormons can be read here.